First station in freedom for all citizens of the GDR leaving their home country legal or illegal was the Notaufnahmelager (a camp for the people arriving) in Gießen. 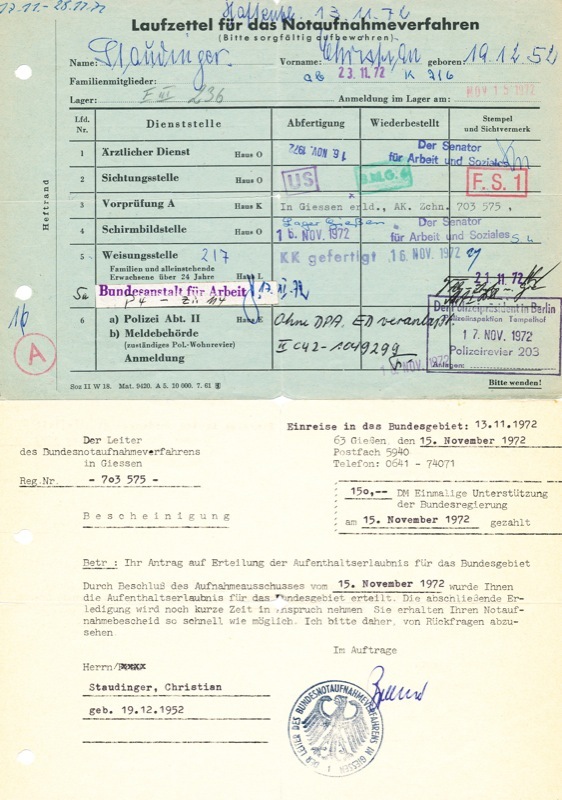 Then there was a kind of procedure before one could become citizen of West-Germany - the so called Notaufnahmeverfahren (sorry, no english word for it and no english version in wiki). Part of it was talking with some secret-services as you can see down in the green paper.